Tiger Woods is back, and it doesn’t matter what anyone else is saying. The man has won three tournaments this season, two of which have come in the last 30 days. And for the critics who say he has to win a Major, I say just wait. He will. 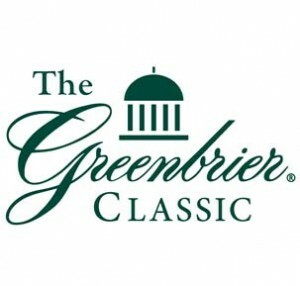 But first, we have the 2012 Greenbrier Classic this week, for which Woods is playing in coming off of the win at the AT&T National on Sunday. And at the top of the list of favorites, it’s Woods by miles. Set at 7/2, Woods is well ahead of the next closest favorite on Greenbrier Classic Betting Odds available at Bovada Sportsbook. That would be U.S Open winner Webb Simpson, who is still probably on cloud nine from his victory a couple of weeks ago at The Olympic Club. This is actually one of the deepest fields that the Greenbrier has had in the last several years, obviously highlighted by the fact that Woods is playing. It’s normally a tournament that he skips. Obviously he is trying to continue to get tournament ready, and with the British Open just two weeks away, it’s time to get back into peak form. Though with the exception of disappointing rounds on Saturday and Sunday at the U.S Open, Woods has played great golf. But that Major championship win has been absent for four years. Even still, a win this week, or a couple wins without a Major the rest of this season and Woods should be the player of the year on tour. After all, it wasn’t too long ago that some were questioning whether or not he would win at all. With the win on Sunday, he passed Jack Nicklaus for second all time in career PGA Tour wins with 74. Next is Sam Snead at 82. But this week at the Old White TPC, Woods will have players like Phil Mickelson, Dustin Johnson, Jim Furyk, and Steve Stricker right behind him on the betting odds. It should be a good week, with coverage on the Golf Channel getting underway at 3pm ET on Thursday. This entry was posted in PGA Tour Betting Odds and tagged betting odds, greenbrier classic, pga tour, tiger woods on July 3, 2012 by Bryan.